Get involved and don't miss out on all the fresh and juicy bits happening here at Tooth Tales. 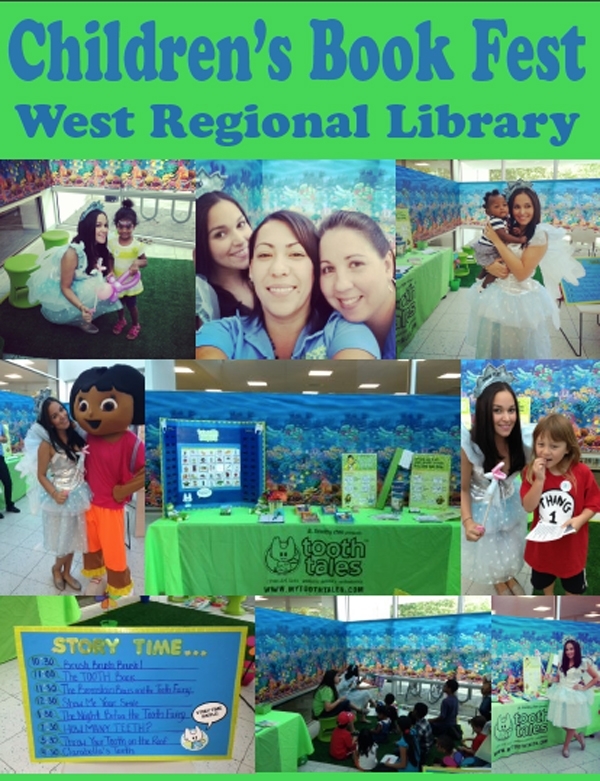 It was great to see both new and familiar faces at the Children’s Book Fest on April 27th at the West Regional Library in Plantation. We had a wonderful time doing story time with all the kids, they really enjoyed the dental health children’s books. We even had a surprise visit from the Tooth Fairy! GET YOUR HULA SKIRTS, BRIGHT SHIRTS, AND FUNKY GLASSES READY FOR SOME FUN IN THE SUN AT TOOTH TALES! 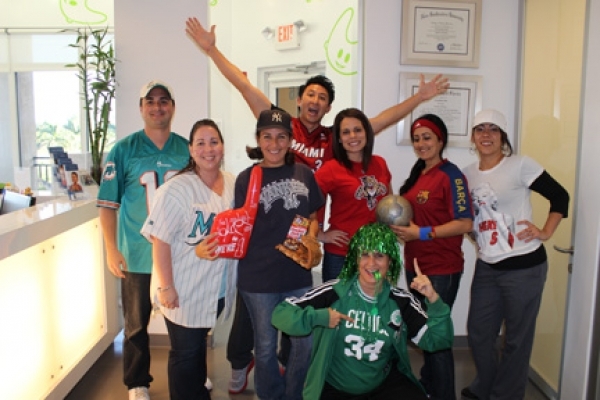 AT TOOTH TALES WE LOVE SPORTS! CHECK OUT OUR WACKY WEEK’S SPORTS DAY GETUP. TODAY IS DAY #2 OF OUR WACKY SPIRIT WEEK! 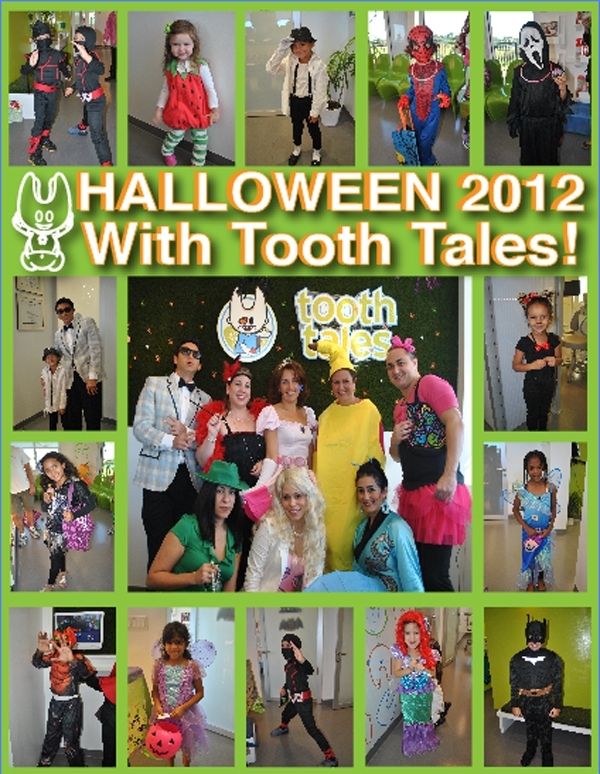 COME JOIN DR. CHEN AN D THE TOOTH TALES TEAM FOR A SILLY AND WACKY FAVORITE CHARACTER DAY/SUPER HERO DAY! YESTURDAY WE KICKED OFF OUR 2ND ANNUAL WACKY SPIRIT WEEK 2013! 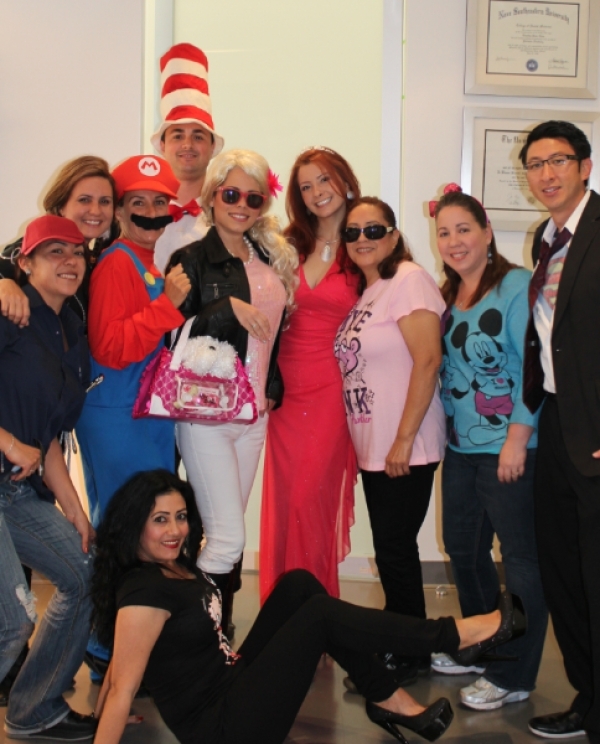 HERE’S DR. CHEN AND THE TOOTH TALES TEAM LOOKING COMFY IN THEIR PJ’S ? 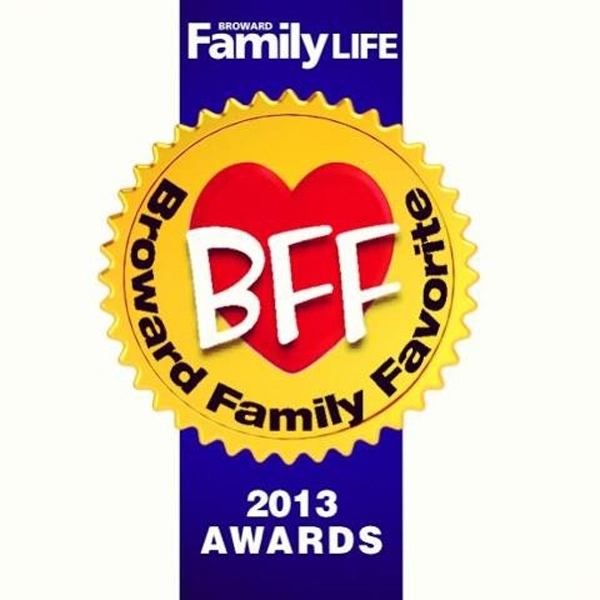 SPECIAL THANK YOU TO ALL OF OUR TOOTH TALES FAMILIES AND FRIENDS FOR NOMINATING US FOR THE FAMILY LIFE MAGAZINE “BFF” BROWARD FAMILY FAVORITE AWARD 2013. 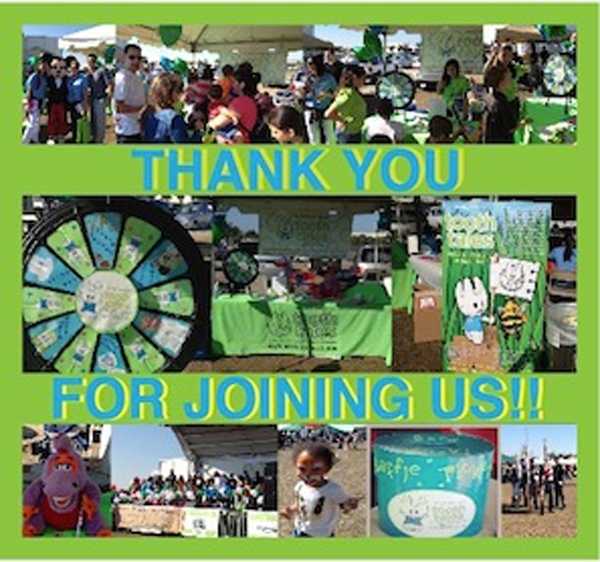 WE ARE EXTREMELY HONORED AND THANKFUL TO BE A PART OF SUCH A WONDERFUL COMMUNITY FULL OF BRIGHT SMILES. FOR THE HOLIDAYS, WE REALLY WANTED TO SPREAD THE JOY WITH THE CHILDREN AT JOE DIMAGGIO’S CHILDRENS HOSPITAL AND THE FOSTER CHILDREN OF HIS HOUSE! Check out all the awesome costumes from Halloween! AT THOOTH TALES, WE ABSOLUTELY LOVE FESTIVITIES. ESPECIALLY WHEN WE GET TO DRESS UP IN FUN COSTUMES WITH ALL OUR FRIENDS. JOIN US AT OUR UPCOMING “WACKY WEEK” STARTING MARCH 25, 2013 FOR MORE OPPORTUNITIES TO DRESS UP AND ACT SILLY! 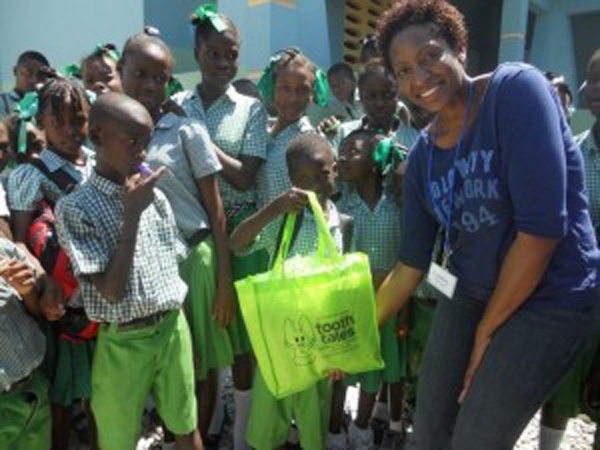 Nikki, one of our friends from tooth tales went on a mission to Haiti with Food for the Poor. She was kind enough to donate her time and items that the people were in need. Some of the items included goodies from tooth tales.